Ernest Luning of the publication formerly known as the Colorado Statesman has a fascinating new story out today about Rep. Ken Buck (R-Greeley) and his bid to become the next Chair of the Colorado Republican Party. Luning’s story includes a handful of jaw-dropping quotes from various Republican sources in response to a marvelously absurd proposition from Buck outlining how he would lead the GOP into the 2020 elections. Democrat Hillary Clinton easily carried Colorado in the 2016 Presidential race after an embarrassing #NeverTrump movement that was likely driven by the State Party itself. 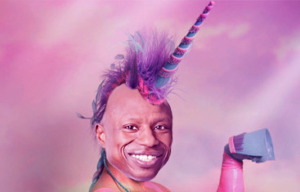 The only major statewide race on the ballot in 2016 was for U.S. Senate, in which Darryl Freaking Glenn emerged from a ridiculous cavalcade of controversial candidates as the GOP nominee against incumbent Democratic Sen. Michael Bennet. The only reason Glenn came within 6 points of Bennet was because Democrats essentially stopped worrying about the race altogether after the June Primary. And we haven’t even mentioned the infamous “Coffmangate” scandal that turned the State Republican Party into a national laughingstock. “This is not a part-time job, this is not the time for an absentee chair, this is a leadership position, for an organization that has been failing,” said state chair candidate Susan Beckman, a two-term state representative from Littleton who has said she’ll step down from the General Assembly if she’s elected chair. …He also slammed Buck’s plans to run the party from Washington, D.C., saying he was “baffled” by the proposition. “When you get your butts kicked in every corner of the state, people should shut their mouths and come together and do their very best to help the party and make sure we do our best to get Cory Gardner and Donald Trump elected,” Buck said. This is really the Colorado Republican Party in a nutshell: One of the top contenders to be the next GOP Party Chair is proposing a return to an era in which the Colorado Republican Party was objectively not very successful, and then lashing out at anyone who questions his ideas. Colorado Republicans will select their new leaders on Saturday, March 30. Most of the time, when you hear a candidate say they’re the “candidate Democrats fear,” they’re implying that they would be stronger in the general election than their primary opponents–usually by being moderate on one or more issues that turn off Republican primary voters. We’ll give you a hint: one of these had a modicum of truth to it! 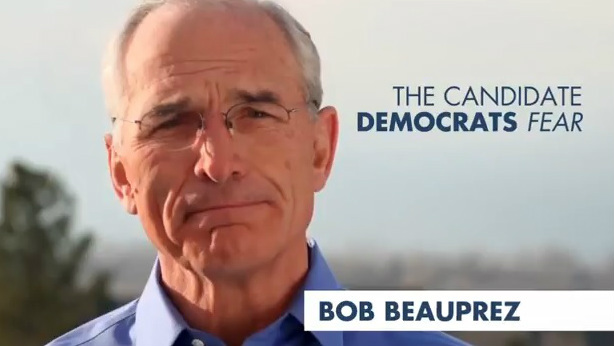 Bob Beauprez, it can be safely said, was never a candidate Democrats particularly feared. While Beauprez’s margin of defeat narrowed between his two runs for governor in 2006 and 2014, by the time of the latter race Beauprez had painted himself irrevocably as a fringe crackpot brainlessly regurgitating “Tea Party” sedition. Cynthia Coffman, on the other hand, had a number of qualities that made her a potentially formidable general election candidate for governor. Before Coffman’s run for governor collapsed in one of the most spectacular heaps in recent political history, no small amount of Democratic strategizing was devoted to what was considered the undesirable scenario of her winning the primary. In the end, of course, the moderate line items on Cynthia Coffman’s resume were totally unacceptable to Republican primary voters–and combined with her role in years of intraparty backstabbing, Coffman limped into the GOP state assembly a virtual pariah. Her campaign didn’t make it out alive, and her political career is over. Unless she decides, and this is not on balance a far-fetched notion, to become a Democrat! In which case we’ll all have a good laugh over this picture, won’t we? “Their corporate focus on making money took precedence over patients’ long-term health, and Colorado has been paying the price in loss of life and devastation of its communities as they struggle to address the ongoing opioid crisis,” Coffman said in a statement Thursday. The Colorado lawsuit claims there have been approximately 3,000 prescription opioid-related deaths in the state since 1997. Coffman’s lawsuit comes months after a list of counties, including Pueblo County, sued major drug manufacturers for the costs of opioid addiction in their communities. Brauchler, the Aurora district attorney, faulted Weiser earlier this year for promising to sue drugmakers. A big problem with Brauchler’s refusal to commit to suing Purdue can be found in the list of donors to the Republican Attorney General’s Association, which is essentially bankrolling Brauchler’s campaign with over a million in spending so far on the race. Purdue Pharma in particular has given hundreds of thousands of dollars to RAGA in recent years, and this very strategically targeted support has been raised as an issue in other states with foot-dragging attorneys general on opioids. After Coffman’s decision this week to file suit, Brauchler said it was a decision based on her office’s “careful” review of the facts, not a “reckless” promise, like Weiser’s. Sorry, but Coffman’s decision to sue cuts Brauchler’s criticism of Weiser off at the proverbial knees. Given the way Coffman was treated, both by Republicans in her gubernatorial run and Brauchler in particular after he himself was squeezed out of the governor’s race Coffman would go on to lose, it’s possible that this was a deliberate snub of both Brauchler and RAGA by extension. The one thing we can say with confidence is there is nothing here that makes George Brauchler look good. This is an obvious takeaway from the Primary, but there’s more to it than just calling Polis a “Winner” because he won the Democratic nomination for Governor. Polis cruised to victory by a 20-point margin in what was expected to be a much-closer race. Perhaps more impressively, Polis should end up with in excess of 30,000 more total votes than Republican gubernatorial nominee Walker Stapleton. That’s not a good sign for Colorado Republicans. 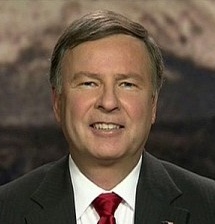 Rep. Doug Lamborn (R) as a fictional character. You can make a compelling argument that Lamborn is the dimmest bulb in the entire Congress, but when it comes to winning Republican Primary elections, he’s a proven commodity in Colorado. Lamborn captured nearly 53% of the vote in what appeared to be shaping up as a difficult race, and he’s a lock to win re-election in the fall in an overwhelmingly-conservative CD-5. Various Republican factions have tried for years to squeeze Lamborn out of office; it might be time for potential challengers to concede that Lamborn is here until he decides otherwise. The Boulder-area Democrat cruised to an expected victory in a CD-2 Primary, which means he will almost assuredly become the first African-American elected to a federal office from Colorado. Dougherty had been among the Democrats seeking the nomination for Attorney General until Boulder County District Attorney Stan Garnett stepped down from his post in the spring. Dougherty left the AG’s race after being appointed by Gov. John Hickenlooper to serve the remainder of Garnett’s final year, and on Tuesday he was handily elected to a full four-year term as Boulder DA in an anticlimactic battle with state Rep. Mike Foote. It’s not often that a candidate for one major race is able to make a late change and still emerge victorious. Dougherty won’t likely be leaving the Boulder DA’s office anytime soon, but he will certainly have plenty of options in his political future. 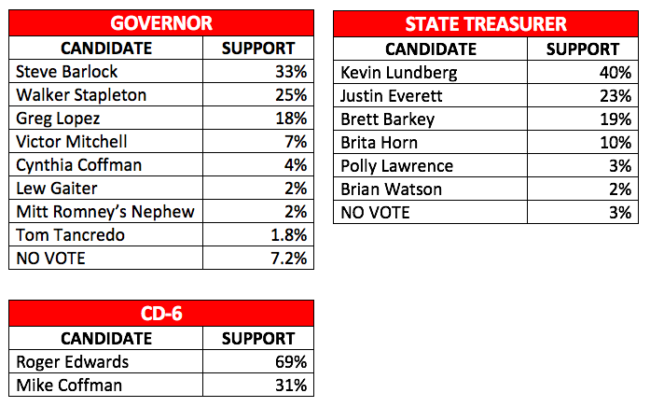 The Democratic Primary for State Treasurer might have been the least-discussed race of the Colorado Primary season. Young always seemed to be the favorite over Democratic challenger Bernard Douthit, but the lack of interest in this campaign made it difficult to handicap. In the end, Young walked away with the nomination with 68% of the Democratic vote. 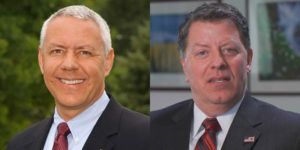 Two of the most outspokenly racist members of the Republican House caucus were handed their walking papers on Tuesday. In HD-47 (Southern Colorado), Rep. Judy Reyher lost a Republican Primary to Don Bendell. In HD-56 (Adams County), something called a Rod Bockenfeld positively destroyed incumbent Rep. Phil “Maybe Japanese Internment Camps Weren’t Bad” Covarrubias. Reyher and her Amazing Technicolor Dreamcoat were responsible for many ridiculously-racist utterances, though there will always be a special place in our heart for her fantastical claim that she couldn’t be a racist because she once went to a wedding in China. Covarrubias was a general train wreck in his brief time in the legislature – earlier in the 2018 legislative session he also equated abortion with prostitution – and the Republican Party is certainly better off without him among its ranks. Perhaps Bendell and Bockenfeld will prove to be as bigoted as their predecessors, but at least they had the good sense to not talk about it so openly. The 2018 race for Governor should be the most expensive statewide (non-federal) battle in Colorado history. That’s great news for people who sell advertising. Doug Robinson faded from the Republican race for Governor in late May, but he kept his sense of humor and displayed admirable class throughout the campaign. Mitt’s Nephew had trouble making his own name for himself, though we’d posit that he’s well-positioned to make another run for office in the future. Colorado Republicans would be smart to find a place for Robinson (which means they probably won’t). Honorable Mention: Lois Landgraf, Emily Sirota, Diane Mitsch Bush, Jason Crow, and Diana DeGette. 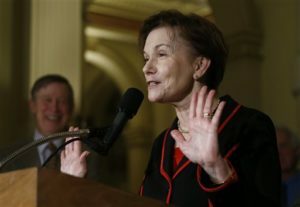 Things looked pretty good for Hill in late April when incumbent Rep. Doug Lamborn appeared to have failed to make the ballot, but once Lamborn had squeezed his way into the Primary, Hill was in trouble. Hill would certainly have done better in a GOP field that did not include the longtime incumbent Republican, but his disappointing finish behind Lamborn and 2016 U.S. Senate nominee Darryl Glenn probably ends his future hopes of higher office. The Colorado Springs State Senator ended up being a complete non-factor in the race once voters started returning ballots. The Lakewood City Council member known as “Shakti” – that’s her full legal name – was soundly defeated in a Democratic Primary for State Representative in HD-28. Kerry Tipper doubled-up Shakti’s vote total with a strong campaign and deserves plenty of credit here, but going by one name works much better for pop stars than for politicians. In advance of Tuesday’s Primary we saw a rash of “fake polls” touting Cary Kennedy, Mike Johnston, or Victor Mitchell as the great bearers of momentum in their respective races for Governor. This was all predictably silly, but the campaigns nevertheless managed to convince a handful of journalists and observers that there might be some merit to their madness. More news outlets should err on the side of caution and heed an Associated Press decision to stop promoting poll results that might even have some truth to them. Colorado’s Lieutenant Governor pledged not to seek the top job in the state after being appointed by Gov. John Hickenlooper in early 2016. She should have listened to herself. Lynne’s campaign was a disaster from the very beginning; the bulk of her campaign staff jumped ship in early May; and Democratic debates exposed her as woefully unprepared for the spotlight. The best thing you can say about Lynne’s campaign is that she kept Mike Johnston from the ignominy of a last-place finish. “The Magnificent Putz” hoped he would be the Republican nominee for Governor at this point, but that was before Brauchler completely imploded as a statewide candidate with even the slightest of hurdles in front of him. Brauchler is still relevant thanks to Attorney General Cynthia Coffman’s decision to not get elected Governor, and he was really, really hoping that Joe Salazar would win the Democratic Primary for AG instead of Phil Weiser. Brauchler has demonstrated a baffling inability to raise money, which will be a serious problem in a General Election against Weiser’s insatiable fundraising. Less-Honorable Mention: Walker Stapleton, Polly Lawrence, Levi Tillemann, and Victor Mitchell’s bank account. As she is speaking in the video, the hashtag “#ChoirBoy” appears on the screen. Carno, however, does not explain on camera why she thinks the other Republican candidates for governor, Walker Stapleton, Greg Lopez and Victor Mitchell, are more likely to have as-yet-unknown politically damaging stories in their past. Today on the Get More Smarter Show: Your host Jason Bane sits down with Democratic Attorney General candidate Phil Weiser for an informative in-depth interview on Weiser’s background, the current occupant of the office he’s running for, and why voters should care about the election for state attorney general. Catch up on previous Get More Smarter Show episodes here! Thanks again for watching. This is an actual quote from Rep. Mike Coffman’s speech at the State Republican assembly on Saturday. You might remember that Coffman spoke out forcefullyabout challenging Trump during the 2016 election, but that was back when it seemed improbable that Trump might be elected President. Coffman has since decidedthat he needs to work with Trumpand has even warmed to the idea of campaigningwith Trump in 2018. 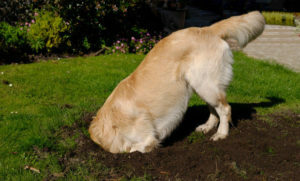 Coffman’s backpedaling reached its apex on Saturday when he thoroughly buried his face in Trump’s backside. According to Michael Roberts at Westword, Lopez finds his name on the ballot because of a rousing speech he delivered on Saturday. This is a nice story, but it’s not particularly accurate (watch Lopez’s nothingburger speechyourself). The reason Lopez is on the ballot is because other Republican gubernatorial candidates decided that Lopez was their best potential foil for Stapleton on Saturday. In an interview last week on “The Ross Kaminsky Show,” Mitt Romney’s Nephew let slip that he planned to vote for Lopez (Mitt’s Nephew was a delegate himself, but is seeking to make the GOP Primary ballot for Governor via the petition route). Lopez became the go-to candidate for Republican delegates who didn’t want Walker Stapleton to run away with the vote at the state assembly, and that’s why he’ll be on the ballot in June. This might not seem like a big deal, but Republican gubernatorial frontrunner Walker Stapleton has rarely brought up his positions on abortion in the past. On Saturday, Stapleton’s speech to Republican delegates included a line about protecting children “born and unborn,” which is about as far as he’s ever gone (publicly) on this issue. Stapleton still has a long way to go to make up with Republicans on a number of issues. Last week former Republican gubernatorial candidate Tom Tancredo made the surprise announcementthat he would endorse Stapleton for the GOP nomination for Governor. On Saturday, Tancredo did one better by taking the stage himself to nominateStapleton. Having Tancredo’s support no doubt helped Stapleton with the GOP delegate crowd, but this may turn into quite the albatross for Stapleton in a General Election. There’s no going back now – take a look at the digital ad (right) that circulated on Saturday from “Better Colorado Now,” a SuperPAC that exists ostensibly to support Stapleton’s bid for Governor. Republican state Rep. Judy Reyherand her Amazing Technicolor Dreamcoat won’t be top line on the GOP Primary ballot in June. Republican Don Bendell outpolled Reyher at the HD-47 GOP assembly on Friday. With both the Democratic and Republican state assemblies/conventions now behind us, we’ve made a multitude of updates to The Big Line. If you’re looking for information on who made the ballot and who didn’t, you’ll find those updates in The Big Line. If you’re looking for a good restaurant in Colorado, you will not find that information in The Big Line. If you’re looking for an analysis of the 2018 races for Governor, Attorney General, State Treasurer, Secretary of State, and Congress…it’s in The Big Line. Attorney General Cynthia Coffman, once considered a sure bet for the primary, suffered a devastating defeat and took only 5 percent of the vote, finishing behind first-time candidate Barry Farah. Stapleton managed to win support despite the reintroduction of a 1999 drunken-driving conviction and a new controversy about apparent fraud in how his campaign collected voter signatures to qualify for the ballot through the petition process. In short, Cynthia Coffman received almost no support for her bid to be governor–but managed to inflict damage on the Republican frontrunner worth much more than the amount of support she attracted to her campaign. For Democrats, this could be considered something akin to a best-case scenario. And for a candidate attacked today as “not a real Republican,” Coffman proved she can sabotage fellow Republicans with the best of them! Which is, as any truthful Republican will tell you, a quintessentially Republican trait. 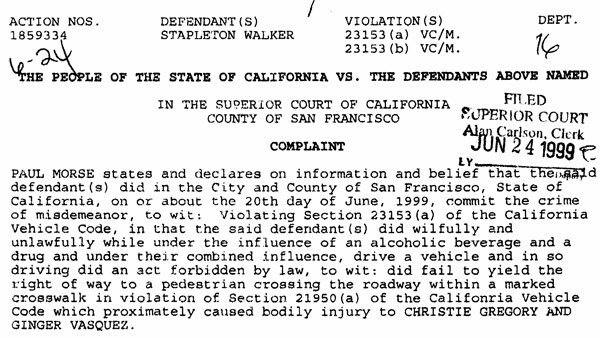 Longtime readers will recall the late-breaking story in the 2010 Colorado Treasurer’s race of Stapleton’s DUI in San Francisco back in June 1999–complicated by charges that he attempted to leave the scene of an accident after causing bodily injury to two victims. The story came too late to affect the race in 2010, but we’ve always expected that when Stapleton attempted his next move up in elected office the story would be more rigorously investigated. And thanks to Cynthia Coffman, today’s the day! Put on your hip waders and stay tuned, we’ll update as the votes come in this afternoon. Sometimes the best way to figure out the frontrunner in a Primary race is to take a look at which candidate is getting attacked the most. State Treasurer Walker Stapleton has been the prohibitive favorite for the Republican gubernatorial nomination since before he was even an official candidate, but until recently other Republican candidates had largely stayed away from direct attacks. 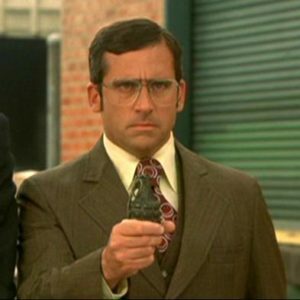 Now that the GOP Primary is kicking in to high gear, the gloves are coming off. Stapleton’s campaign has been busy trying to consolidate support, with Tom Tancredo and Rep. Ken Buck recently announcing their endorsements and pals at the Colorado Springs Gazette going out of their way to prop him up. But at the same time that Stapleton is touting new supporters, he’s taking an increasing amount of fire from the right. An independent expenditure committee (IEC) called “Build Colorado’s Future” — which has been linked to Mitt Romney’s Nephew — has been running digital ads lately that link to the website WhoIsWalkerStapleton.com. The site is an opposition research dump hitting Stapleton on his checkered history with trying to reform PERA, his problems with petition signatures (also detailed in a separate website StapletonPetitionFraud.com), and a 1999 DUI case in California that alleges Stapleton is guilty of a hit-and-run. I’m not familiar with DUIs. Walker? He’s not here. I would say first, marijuana policy. Where has he been? He’s been the Treasurer of this state. We’re not getting the taxes that we promised. He had a platform to stand up and to protect Coloradans as marijuana [policy] was rolled out, and he hasn’t been there. Two, PERA. He says he’s been a voice for PERA for a long time. I am tired of voices. 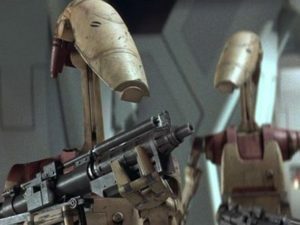 I want action. The PERA situation is twice as bad as it was when he was first on that board. He’s missed, I think, about half of the board meetings. He’s not here today. I expect somebody who’s in that position to stand up and be courageous, and take on tough issues and solve them. Victor Mitchell responded to the same question by going after Stapleton on his signature PERA issue. I don’t think PERA beneficiaries should be beaten down and demonized. I think that’s fundamentally wrong. People who receive PERA benefits today don’t receive social security [benefits]. It’s their life. It’s their check. And they haven’t done anything wrong — they’ve paid into the system. We love to throw the word ‘crisis’ around. I don’t believe PERA is in crisis. Stapleton is seeking to make it onto the Primary ballot via the state assembly process on Saturday, where he will compete against Coffman and a handful of other Republican candidates such as Steve Barlock and Greg Lopez (Robinson and Mitchell are trying to petition onto the ballot). Barlock has been particularly vocal about his concerns over Stapleton’s family ties to the Ku Klux Klan; Walker’s great-grandfather, Ben Stapleton, was Mayor of Denver from 1923-31 and received significant support from white supremacist organizations. The group registered in mid-March, so won’t have to report where the money is coming from until May 7. But the address listed for the group in corporate documents is a home owned by Better Colorado Now director Andy George. 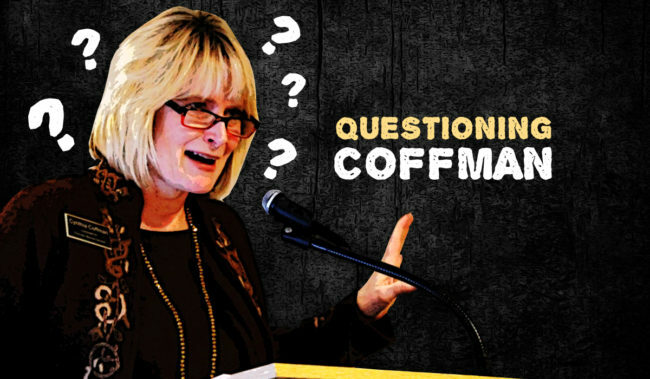 Will Cynthia Coffman stand up for your religious liberties? Probably not. Coffman has taken a “moderate“ stance on religious liberty in the state. As Attorney General, Cynthia Coffman refused to defend the religious liberty rights of bakers who had a conscientious objection to making a cake for a gay wedding! Coffman’s support for the Civil Rights Commission suit is troubling because as the highest law-enforcement officer in the state, short of the Governor, Coffman has failed to defend our religious liberties. Will Cynthia Coffman fix our broken immigration system? Probably not. She’s consistently proven herself with record of problematic immigration positions! She refused to join other state Attorney Generals in the DACA Suit Against Obama. When President Trump issued a travel ban from countries that have large numbers of terrorist, Attorney General Coffman refused to come out in support of the ban. Coffman continued to distance herself from strong immigration enforcement laws. Cynthia Coffman supports providing amnesty for illegal aliens. When strong illegal immigration opponent Jan Brewer came to Colorado for an event with Cynthia Coffman, the Attorney General said that she did not support Brewer’s immigration enforcement agenda. Will Cynthia Coffman defend life? Although Andy George “breaking” the existence of this site makes it likely this was whipped up by Team Stapleton, that’s not 100% provable at first glance. 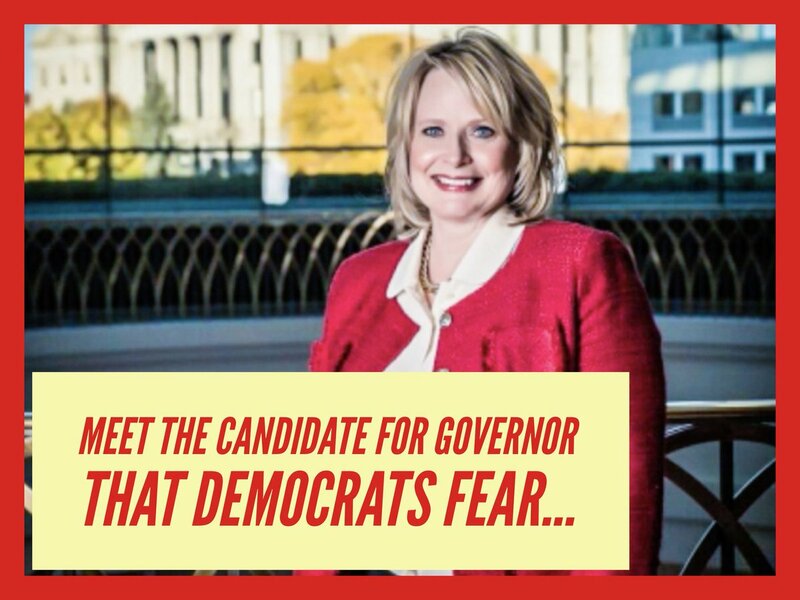 The “independent” group Real Colorado Conservatives responsible for this site registered on March 15 with its stated purpose “TO OPPOSE CYNTHIA COFFMAN AND EVERY DEMOCRATIC CANDIDATE FOR GOVERNOR.” Whoever created the site, from now through Saturday’s Republican state assembly we do expect that everyone supporting Stapleton will be spreading its contents. Stapleton’s foremost goal at the state assembly is to hold Coffman below the 30% threshold required for her to appear on the June primary ballot, and these are the exact points necessary to communicate to the GOP base to make it impossible for them to support her. The likelihood of such an attack is why Coffman never intended to go through the assemblies–only doing so belatedly after it became clear she didn’t have the resources to mount a successful petition campaign. As of now, it’s less likely than ever that Cynthia Coffman’s campaign for governor lives to see Sunday morning. Walker Stapleton speaks at a press conference Tuesday morning. 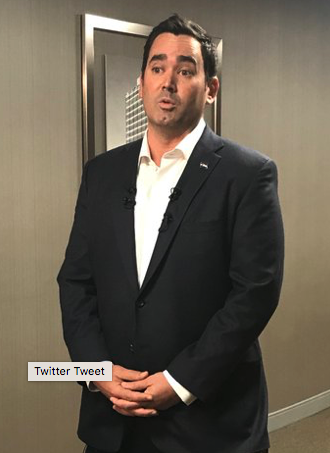 Republican gubernatorial candidate Walker Stapleton dropped an absolute bomb on the GOP political landscape today with his announcement that he is withdrawing from the petition process for the Republican Primary and threatening a lawsuit against the political firm his campaign hired to get him on the ballot. In a press conference outside the Colorado Secretary of State’s office Tuesday morning, Stapleton said he’ll now be looking to secure a spot on his party’s ballot through Saturday’s assembly. He told the press Tuesday that his campaign was “defrauded” by signature gathering firm Kennedy Enterprises. He said there was “misconduct” in the way the signatures were collected, that the company lied to him and that he would be filing a lawsuit. Last night my campaign learned that Kennedy Enterprises, LLC, the signature gathering firm we retained to conduct and manage our petition gathering process, engaged in fraudulent conduct when gathering signatures in support of my candidacy for Governor. [Pols emphasis] Specifically, Kennedy Enterprises employed a “trainee circulator” by the name of Daniel Velasquez and allowed this individual to circulate petitions which were then executed by another circulator as though that circulator – and not Mr. Velasquez – had circulated them. Kennedy Enterprises repeatedly lied to my campaign when we asked them about news reports alleging this conduct weeks ago. Until last night, Dan Kennedy and those working for him insisted that no such individual had ever worked for Kennedy Enterprises. Worse than lying to my campaign, they lied to your office when your office specifically asked about these news reports. Because I can now have absolutely no confidence in the representations of Kennedy Enterprises as to the conduct of our petition campaign, I must request that your office reject all signatures we submitted and withdraw the Statement of Sufficiency you issued to my campaign last Friday. [Pols emphasis] While I know that the signatures on the petitions were independently verified by your office as those of real Colorado republicans [sic], I cannot and will not allow my name to go onto the primary election ballot in this manner. Both I and my campaign team hope that your office will conduct an investigation into Kennedy Enterprises. We stand ready to assist in any way we can. The fallout from Stapleton’s surprise announcement is, in a word, massive. In order to keep his bid for Governor alive, Stapleton is all but destroying at least two other Republican campaigns, with potentially more political carnage to come (including Kennedy Enterprises, a GOP consulting firm that is now as good as dead). Stapleton’s move this morning is a clear effort to avoid — at all costs — the kind of exhaustive media coverage that essentially killed the 2016 Senate campaign of Republican Jon Keyser. Rep. Doug Lamborn (R-Colorado Springs) is hosed. First, Congressman Doug Lamborn, who is seeking re-election to his seventh term, is probably toast; Stapleton’s public challenge of Kennedy Enterprises likely cripples Lamborn’s defense of his own petitions, many of which would have been circulated by the same group of employees and contractors. If Lamborn’s petitions are invalid, then he will not be on the June Primary ballot and the Colorado Springs area will elect a new Congressman — either Owen Hill or Darryl Glenn. Lamborn’s hopes of being on the ballot were looking grim anyway, but Stapleton’s announcement should be the nail in this coffin. Republican candidate for Treasurer Polly Lawrence is probably not going to get her name on the June Primary ballot, either, unless by some miracle she is able to garner at least 30% of the vote in Saturday’s state GOP assembly (she had not been organizing an effort to win over Republican delegates). Whatever problems existed with Stapleton’s petitions almost certainly exist with Lawrence’s signatures. Lawrence appeared to be one of the top Republican candidates for State Treasurer, and her absence from the field will open up a new lane for others. Stapleton’s move to put all of his eggs in the assembly basket has a domino effect in the Governor’s race as well. 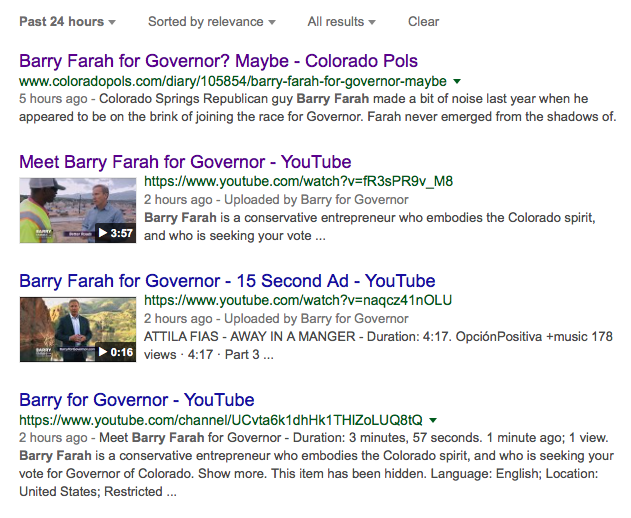 Republican Barry Farah, who was a late entry into the field, today pulled out of a Republican gubernatorial debate at 9News scheduled for Thursday. Farah says that he still plans to compete at Saturday’s state assembly with the goal of knocking Attorney General Cynthia Coffman from the race. Don’t be surprised to see Farah pull out of the field altogether to throw his support behind Stapleton, who absolutely must make top-line at the assembly to avoid significantly weakening his GOP frontrunner status. In short, Stapleton’s announcement today may be the killing blows for both Farah and Coffman’s gubernatorial bids. And then there’s Secretary of State Wayne Williams, whose office initially approved Stapleton’s petitions for ballot access. Williams has a lot of explaining to do himself. 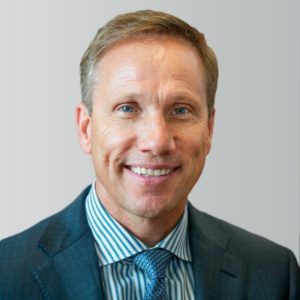 Doug Lamborn. Polly Lawrence. 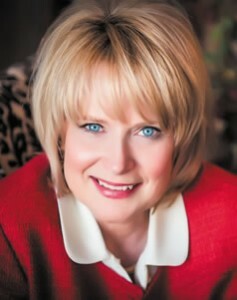 Cynthia Coffman. Barry Farah. Wayne Williams. Dan Kennedy. Something tells us that there is more to come about Stapleton’s involvement with sketchy signature gathering, but if he nevertheless manages to get elected Governor in November, it will be because he drove a bus over a whole bunch of other Republicans in the process. Stories about potential problems with petition signatures have been swirling across virtually every local media outlet in the last few days. Republican Walker Stapleton announced this morning that his campaign for Governor will make some sort of announcement outside of the Secretary of State’s office at 11:00 am. We’ll update this story as soon as more information is available. Trump is a defining figure in the 2018 election in Colorado, particularly in Republican primary contests, where a poll shows support for the president among the party’s likely voters holds at 80 percent. Stapleton, a two-term treasurer and relative of George W. Bush, touts his early endorsement of Trump’s tax law on the campaign trail, saying in an interview that he hoped the alignment would help him win support ahead of the June primary. In the 2012 presidential election, a top adviser to Republican nominee Mitt Romney told the press that transitioning from the primary to the general election was like ‘shaking the Etch-a-Sketch’–meaning that a candidate could essentially disregard the positions they took to win the primary election in order to appeal to general election voters. But as Romney learned in November, voter memories are not simply erased when the primary ends–and what candidate tells base voters in order to gain their support in the primary most certainly does matter once the primary election is over. Having learned that lesson, Republicans who would in most other circumstances be competing to align themselves with a President favored by 80% of Republican voters are instead finding ways to change the subject when it comes up. Understanding that the electorate in 2018 is likely to punish anyone they connect to the Trump administration, with the exception of Steve Barlock (who won the Adams County caucus straw poll) our local Republicans are making a gamble that their long-term viability is more important. And it might work–as long as voters somehow don’t put together that what Trump and Republicans have in common is that they are all Republicans! Which seems unlikely. And once voters on both sides figure out what’s going on here, these attempts to put daylight between Republican candidates and the leader of the Republican party look awfully craven. It’s one of those situations where, even though we don’t have a better idea on how they should proceed, the risk of a disaster worse than the consequences of saying nothing at all is very high. Any way you look at it, Trump is an albatross around the neck of Republican candidates in 2018. The question will only be one of degree. The vast majority of digital ads that appear on Colorado Pols are propagated through the Google Display Network. We have nothing to do with the content or placement of these advertisements; our role is to provide the relevant audience and the space — in the form of banner ads at the top of the page and “hi-rise” ads on the right-hand side — in exchange for a portion of the ad revenue. The reason we bring this up is because you might have seen an advertisement on this site touting Coffman for Governor that is paid for by the independent expenditure committee (IEC) “Stronger Colorado Ahead” (see image at right). Huh? From the manner in which this is worded, you would be forgiven for thinking that Coffman won the race for Governor last November. We also wouldn’t have put the word “THE” in all CAPS, but that’s a secondary problem. The Denver Post reported in January that the “Stronger Colorado Ahead” IEC is largely financed by oil and gas interests. At the end of 2017, “Stronger Colorado Ahead” had raised significantly more money than Coffman’s actual campaign itself (which helps explain this story). She’s pressing the case that the phrase “in a manner consistent with” in Colorado’s evolving oil and gas law is unambiguous and means balancing industry interests with health and the environment — rather than ensuring protection as a precondition that must be met. If the state Supreme Court justices agree, they could reverse the existing legal ruling that requires protecting people and the environment before the Colorado Oil and Gas Conservation Commission can issue drilling permits. The oil and gas industry has been in a state of slow-boiling panic over the Xiuhtezcatl Martinez vs. Colorado Oil and Gas Conservation Commission case ever since the appeals court ruling last year, and yesterday the industry-backed Mountain States Legal Foundation fired off a statement of their own titled “Environmental Hysteria Threatens All Oil and Gas Development in Colorado.” Apparently the notion that regulators should make public safety and health a primary consideration instead of “balancing” public health and safety with the “need” to “foster oil and gas development” is extremely bad for the oil and gas industry! Which seems weird given their catchy ads featuring pristine mountain landscapes and smiling healthy children. For us, this situation is another example of how far removed the oil and gas industry and their mouthpieces are from the interests of ordinary Coloradans. If you ask the average homeowner in bedroom community sitting over oil and gas in Colorado–Erie, perfect example–whether the state should protect public health and safety first and foremost, or make public safety part of a “balance” of considerations that includes the industry’s God-given right and responsibility to drill baby drill, what do you think they’re going to say? They’d say it’s crazy that access to minerals in the ground are as considered just as important as the health and safety of the people above ground. And outside a shrinking bubble within the fossil fuel political/industrial complex of Colorado politics, it’s hard to imagine anyone who would disagree with them. If this doesn’t make a powerful, basic kind of sense to you, you need to quit drinking frack fluid. Walker Stapleton, the front-runner in the Republican race for governor, is facing accusations from a GOP rival that he broke state law when collecting signatures to qualify for the primary ballot. Doug Robinson, a first-time candidate and nephew of Mitt Romney, is demanding the secretary of state’s office conduct a formal investigation after a secretly recorded phone call raised questions about one person circulating petitions for Stapleton, the current state treasurer. The situation sets up some interesting and unpredictable variables. 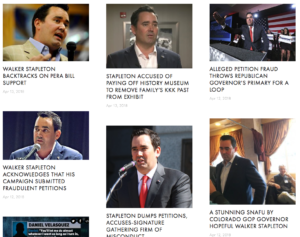 If rumors that Walker Stapleton’s petitions are on the bubble of insufficiency prove correct, any uncertainty about the signatures Stapleton did turn in becomes perilous. The Secretary of State’s “preliminary inquiry” didn’t find anything they considered actionable, but given their track record from 2016 we doubt they’ll have the final word–which explains the appeal over Wayne Williams’ head to Attorney General Cynthia Coffman. Who, if you haven’t heard, is running for governor too! Once again petition signatures appear to be a real stumbling block for nominally “front runner” Republican candidates. It’s going to be fascinating to watch how this all shakes out for them. Make some popcorn and stay tuned. Two years ago, ProgressNow Colorado helped uncover a scandal that ended the campaign of a leading Republican candidate for the U.S. Senate. The discovery of numerous forged petition signatures filed to qualify then-Rep. Jon Keyser for the ballot, led to felony forgery charges against one of Keyser’s petition gatherers and a new law passed in 2017 requiring the Secretary of State to check candidate petitions for signature fraud for the first time. Fast-forward to 2018. It may be happening again. 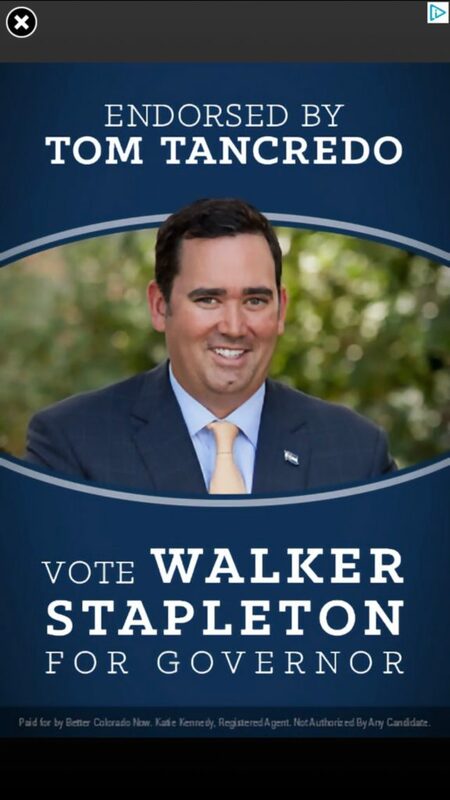 Walker Stapleton, a Republican candidate for governor, has been accused by a competitor in the race of illegally gathering signatures to qualify for the June primary ballot. A paid signature gatherer who claims to be collecting signatures for Stapleton boasted in a recorded conversation that “most of my people can’t even register to vote because they’re all felons,” and though he claims to have collected signatures for Stapleton, there’s no record of anyone by his name. Both developments suggest that Stapleton’s campaign broke the law. The integrity of our elections is at stake. Sign our petition demanding an immediate investigation by Colorado’s Attorney General into alleged lawbreaking by Walker Stapleton’s campaign. Our democracy works, but only if everyone plays by the rules. In 2016, Jon Keyser’s campaign was caught red-handed turning in forged signatures. The Secretary of State didn’t catch it, and if it wasn’t for ProgressNow Colorado’s investigation, Keyser might well have gotten away with it. Don’t let Walker Stapleton get away with breaking the law. Tell Attorney General Cynthia Coffman to immediately investigation allegations that Stapleton’s campaign illegally collected signatures. We’ll share your names and comments with Coffman’s office and the press. Thanks for taking action to protect our elections. In politics there is truly nothing more important. The chair of Republican Cynthia Coffman’s gubernatorial campaign donated the maximum allowable amount this election period not only to Coffman but also to Democratic Lt. Governor Donna Lynne, who’s also running for governor. L. Roger Hutson, whose role in the Coffman campaign was announced just last week, has a history of donating mostly to Republicans but to Democrats as well. Campaign-finance records show that, since 2010, Hutson has given to, among others, former GOP Attorney General John Suthers, Democratic Gov. John Hickenlooper, former U.S. Rep. Tom Tancredo, former state Sen. Amy Stephens (R-Colorado Springs), State Rep. Paul Rosenthal (D-Denver), former Republican Secretary of State Scott Gessler, GOP Treasurer Walker Stapleton, and the Democratic Party of Colorado. Such a history of cross-party political donations isn’t uncommon for a businessman like Hutson, who runs runs a Denver oil-and-gas business and was appointed by Hickenlooper to the Colorado Limited Gaming Commission. Political observers were surprised that the chair of a campaign would be a top donor to two campaigns, one from each dominant party, during the same primary election cycle, but noted that the donations would have been even more surprising if Hutson made them during the time he was Coffman’s campaign chair. Hutson’s last donation to Lynne was reported Dec. 6, about a week after he last donated to Coffman’s gubernatorial effort. He’d also given to Coffman’s campaign for attorney general last year, before he first gave to her current campaign. The Colorado Times Recorder did not yet conduct a thorough investigation of the donation histories of the campaign chairs of all gubernatorial campaigns, but if relevant information is found, this blog post will be updated. Colorado Springs Republican guy Barry Farah made a bit of noise last year when he appeared to be on the brink of joining the race for Governor. Farah never emerged from the shadows of those rumors as an actual candidate, but we’re hearing that an actual campaign announcement may now be imminent. We know what you’re thinking — why now? Today is the deadline to submit petition signatures for ballot access, so Farah would have to get at least 30% of the vote through the caucus/assembly process in order to qualify for the June Primary. But it is the relative weakness of the Republican caucus/assembly field that may have convinced Farah that it isn’t too late to make a run for the GOP nomination. The Republican Party’s state convention is on April 14 in Boulder, and while that doesn’t give Farah a lot of time to make his case, it’s plenty reasonable to think that he could attract at least 30% of the vote in a field where Cynthia Coffman and Steve Barlock seem to be at the front of the line. Republican turnout at county assemblies has been fairly weak, so Farah might already have a pretty good idea of where he stands with the GOP base. 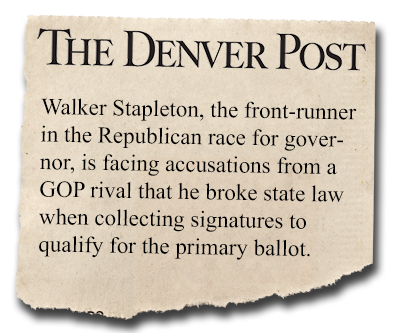 Presumed Republican frontrunner Walker Stapleton may also have to make a major effort to qualify for the ballot through the state assembly because of concerns about his petition signatures. Stapleton submitted 21,000 signatures to the Secretary of State’s office for ballot access, but after Democrat Michael Johnston barely made the ballot with a 56% validity rate (and 1,500 more signatures than Stapleton), there is concern in Republican circles that Stapleton might need the convention process in order to get his name on the June Primary ballot. In this scenario, the GOP state convention could be an absolute free-for-all in the battle for delegates — which makes Farah’s potential late entry into the race all the more plausible. …Roger D. Hudson, Chief of Communications – Roger D. Hudson is the principal media consultant, political strategist, and legislative advocate for both The Hudson Firm, LLC and THE LOBBY, LLC. With more than 25 years as an award-winning journalist, Hudson has managed major market newsrooms in San Francisco, Sacramento, and Houston. As a Republican campaign strategist, Roger was chief of communications for Bob Beauprez’s gubernatorial primary win in 2014. He has also acted as spokesperson for the Colorado Republican Party in 2017. He has also acted as the chief of communications for high profile state agencies the Colorado Department of Corrections and the Department of Law under Attorney General Cynthia H. Coffman. If your name contains any variation of Roger and Hudson/Hutson, you should probably send in a job application on the double. 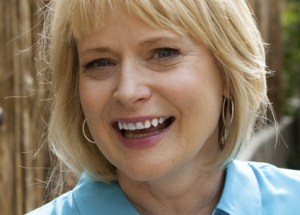 Aaaaand…Now Cynthia Coffman’s “Pro Life” Again! As a conservative Republican who represented the state’s case when it sought to withhold money from Planned Parenthood, Coffman create surprise and anxiety among would-be supporters when her campaign in November reportedly told CBS4’s Shaun Boyd that Coffman was pro-choice, That sent radio political talkers such as Corporon, Craig Silverman and Dan Caplis into orbit. Coffman’s spokeswoman at the time told Colorado Politics that Coffman has never said publicly how she feels personally on the wedge issue, but said the candidate would speak about it on the campaign trail. It was Cynthia Coffman’s supposedly moderate views on social wedge issues that some Democratic strategists had worried might make her a formidable candidate in the event she survived the Republican primary. The biggest problem for Coffman, of course, is winning the primary with a public position on a critical issue that conservative primary voters find repellent. Thus before Coffman can put this angle to her advantage, she has to survive it being her greatest disadvantage. But none of that matters now. With Coffman now backpedaling on an issue she has already backpedaled the other way, she has squandered her credibility on both sides. Nobody who opposes abortion is going to take seriously this obviously contrived flip back in the direction of GOP primary voters, and no one who supports abortion rights can trust Coffman either now. It’s like she is trying to take a page from Sen. Cory Gardner’s playbook, deliberately scrambling her image in hopes of confusing a winning coalition into either supporting her or disregarding abortion in this race entirely. But in timing or the execution, Cynthia Coffman is no Cory Gardner. The Colorado Times Recorder took a look at some straw poll results from recent Republican caucuses, and the numbers are quite fascinating. We were particularly interested in the straw poll results from Adams County, which has traditionally been one of the swingier counties in Colorado. Obviously, the big surprise is that Steve Barlock has the clear lead among Adams County Republicans in the race for Governor. Barlock is the heavy favorite (33%) among Republican candidates who are seeking access to the Primary ballot via the state assembly, followed by Greg Lopez (18%). Attorney General Cynthia Coffman checks in with a meager 4% of support among Republican caucus-goers. The Coffman name in general is not especially well-liked according to these figures. Congressman Mike Coffman is a distant second to challenger Roger Edwards in this straw poll. These numbers are probably not indicative of the mood of all Republican caucus-goers, but they may not be too far off the mark; remember that in 2016, an unknown Republican named Kyle Bradell came this close to getting his name on the Primary ballot by winning 26.1% of delegates at the GOP CD-6 assembly. On their Facebook page, the Adams County Republicans also included “votes” from online polls that were available on the County GOP website, but we’re not including those numbers here because…well, they’re online polls. 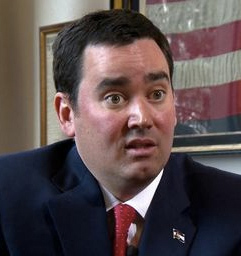 Walker Stapleton is thinking hard about going the assembly route for ballot access. Colorado State Treasurer Walker Stapleton, a front-runner for the Republican nomination for governor, has turned in petitions to qualify for the June primary but is considering also going through the assembly process — a move that could land him top-line designation on the ballot and potentially knock out the only other statewide elected official in the running, Colorado Politics has learned. As results showing convincing Stapleton wins filter in from unofficial gubernatorial straw polls conducted in some counties at Tuesday night’s GOP precinct caucuses, his supporters have become increasingly convinced Stapleton could come out on top at the April 14 state assembly in Boulder and are urging him to take the plunge. A source close to the Stapleton campaign said that the more the candidate is being encouraged to add the assembly route, the more he’s considering it. Frankly, we’ve thought for a long time that this makes a lot of sense for Stapleton. It wouldn’t have been a good idea for Stapleton to contest the nomination at the assembly if Tom Tancredo were still a candidate for Republicans, but things are different now; the only other candidate with any name ID who is seeking to make the ballot through the assembly is Cynthia Coffman, and she is not well-liked among grassroots Republicans. “There’s virtually no risk of getting under 10 percent, and I think, based on the polling and what we’re hearing from the counties that conducted straw polls, Walker has strong delegate support,” said Ryan Lynch, who ran George Brauchler’s campaign until shortly before the Arapahoe County prosecutor switched to the attorney general’s race. Stapleton has already submitted his petition signatures for ballot access and appears to have a solid lead among likely Republican primary voters. If he could do well enough among caucus-goers to keep Coffman off the ballot, it makes his path to the Republican nomination that much easier. Divisiveness among Colorado Republicans is a familiar challenge for the state party. Extreme social conservatives and gun rights advocates have challenged the more moderate establishment for years. Over the past year, however, a previously ordinary Republican entity has launched surprisingly aggressive attacks against its own party. The reason? It’s under new management.